Buy Your 2017 Membership Now to Win a Grand Final RoofClimb Experience at Adelaide Oval! Home > Blog > Buy Your 2017 Membership Now to Win a Grand Final RoofClimb Experience at Adelaide Oval! 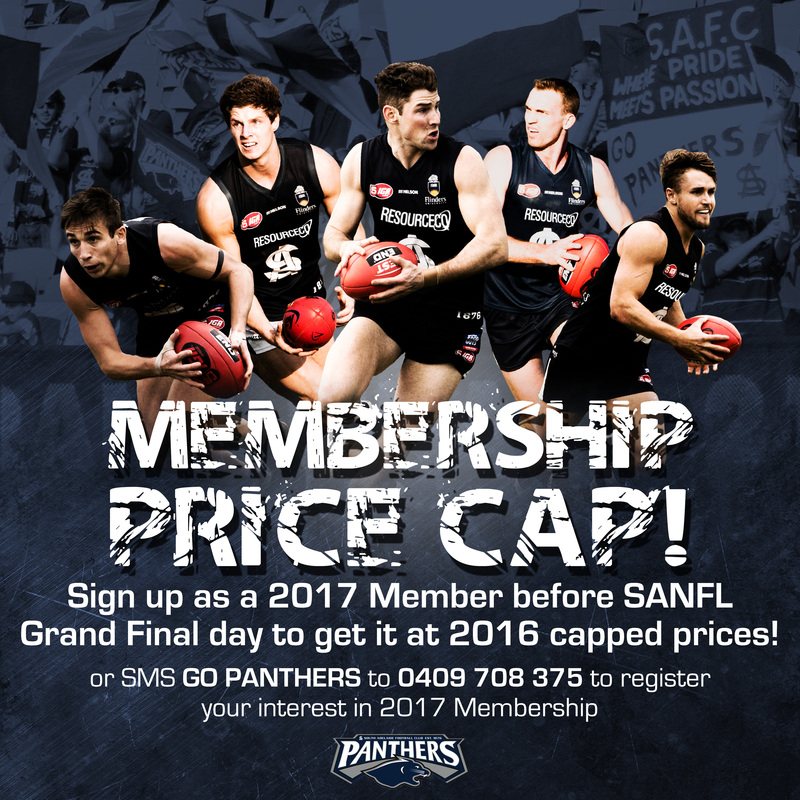 Sign up for your 2017 Panthers Membership before SANFL Grand Final day on Sunday, 25 September and you'll not only get it at a 2016 capped price, but you'll also enter the draw to win a RoofClimb experience at Adelaide Oval for two people during the Grand Final! Come and see us in the Eastern Stand during South Adelaide's Semi Final clash with the Adelaide Crows at Adelaide Oval to enter the draw to win! You can also register your interest in becoming a 2017 Member by texting GO PANTHERS to 0409 708 375.